Vincent Minott faces life in prison over murder charges related to his alleged role in a deadly Miami Gardens shooting. NBC 6's Claudia DoCampo reports. 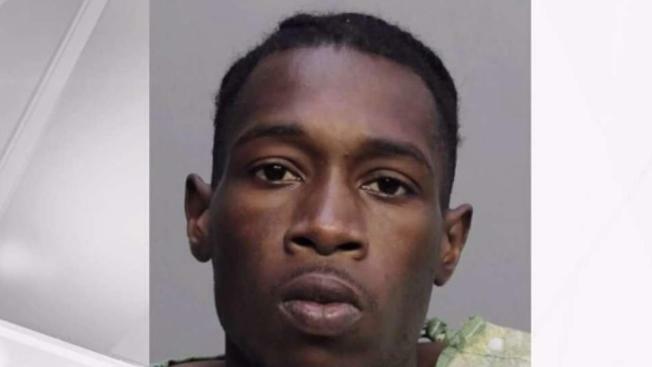 A 25-year-old man faces life in prison over murder charges related to his alleged role in a deadly Miami Gardens shooting. Vincent Minott was charged with first-degree murder, use of a firearm in the commission of a felony and premeditated murder after the Saturday double shooting, the Miami Gardens Police Department said. One person was killed – a 27-year-old man– and another was injured. Officials said Minott was struck during a shootout at the 18000 block of Northwest 7th Avenue. Witnesses helped officials arrest the suspect. “The 911 caller said that they observed a male dressed in all black limp away from the location towards the pickup truck," prosecutor Nessa Eth said during court. Eth said one of the two victims picked up the other's gun to shoot at the gunman. The victims and Minott knew each other, according to Eth. “Officers were directed by a witness that there was a black male underneath a white pickup truck," Eth added. Police found a firearm and an empty holster after finding Minott, who was wearing gloves, officials said. A motive for the shooting has not yet been released. Minott is being held without bond.